Provide Law support per the assigned responsibilities. Drafting and negotiating commercial agreements and related documents concerning exploration, development and production operations. Provide legal advice with respect to various aspects of operations. Drafting and negotiating production sharing contracts, join operating, unitization, farm-in, and gas sales agreements. Provide litigation and compliance support. Graduated from an Indonesian law school. Have a minimum 5 years relevant experience or currently provide quality business law advice in a major law firm. Excellent oral and written communication skills in Indonesian and English. Strong relationship building skills, self-confidence, flexibility, initiative. Able to accurately identify and provide practical solution to legal issues for the business interest at hand - both in writing and verbally. This position is responsible to develop relationship and generate business with Equipment Builder/OEM and Industrial Sectors. Build strategic relationship with important Equipment Builders and/or their distributors. Develop business with important Equipment Builders and/or their distributors. Minimum 4 years experience as Sales Engineer or Technical Sales Engineer in B2B Industrial market. 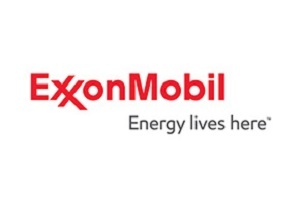 Thanks for reading ExxonMobil Jobs: Counsel and Sales Advisor. Please share...! 0 Comment for "ExxonMobil Jobs: Counsel and Sales Advisor"